The console version of Diablo 3 has caught up with the PC release. Blizzard has released patch 2.6.1a for Diablo 3: Reaper of Souls – Ultimate Evil Edition on PlayStation 4 and Xbox One. After applying the patch, the console version will have the same content and updates as PC. Along with several bug fixes applied to the Season Journey, the StarCraft 20th Anniversary pet is now available to players. All players should unlock this item after patching and logging into the game (thanks, Massively). The patch is also available for PC, and to read the notes, Blizzard said to check the launcher under the Diablo 3 tab. Rumor has it Diablo 3 is in the works for Nintendo Switch. The rumor surfaced back in March after what was presumed to be a tease for the port on Twitter. Blizzard said it was just the development team having fun with a Diablo-themed nightlight and nothing more. A report from Eurogamer followed with sources citing the tweet was indeed a tease, and the team working on the Switch version was “surprised” by it. The reveal of a Switch version was said to be “months away” at the time, which means if indeed true, expect an announcement at BlizzCon 2018 in November. Unless Nintendo pulls fast one an announces it during its pre-recorded E3 2018 presentation next month. Diablo 3 was originally released on Mac and PC in 2012. A PS3 and Xbox 360 release followed in 2013. 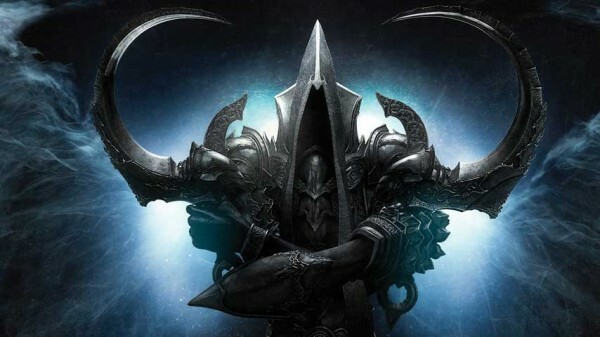 The expansion Reaper of Souls arrived the following year for desktops and on consoles as Diablo 3: Ultimate Evil Edition. The release marked the game’s debut on PS4 and Xbox One.